Performance is nothing new to Jaguar, but please take notice if you spot an "S" in the model name. If it has an "R" before the "S" then you are onto something - one mighty fine performance car I suggest. 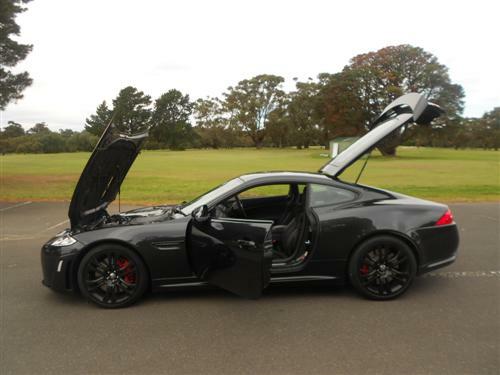 Currently there is the XFR-S and XKR-S available in Australia. It's the latter that thrills the Next Car team in Melbourne during a 372 kilometre driving excursion. 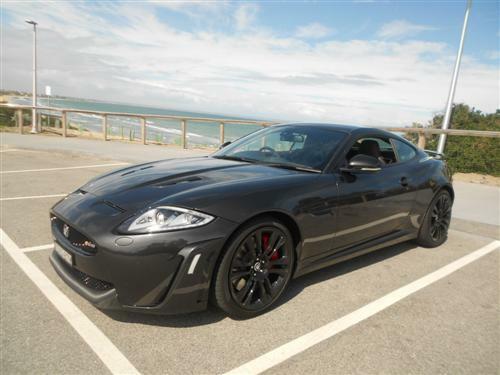 The Jaguar XKR-S coupe, presented in Stratus Grey, has a 5-litre supercharged V8 lurking under the bonnet - ready to excite in an instant. 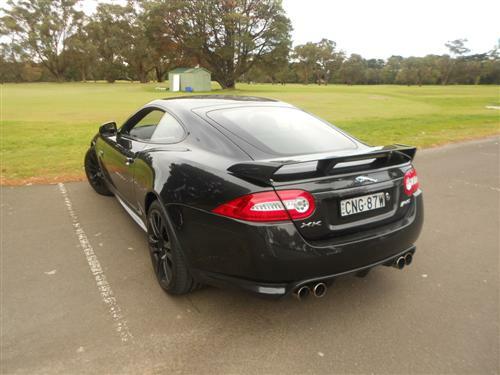 This takes the price of thorough enjoyment, XKR-S style, to $310,006* as experienced in the test car. 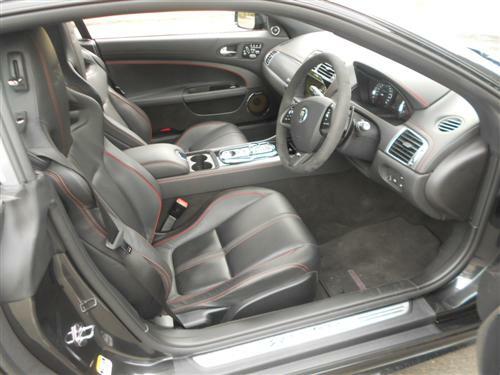 The V8 provides a very good clue to the serious intent of this high performance luxury coupe. 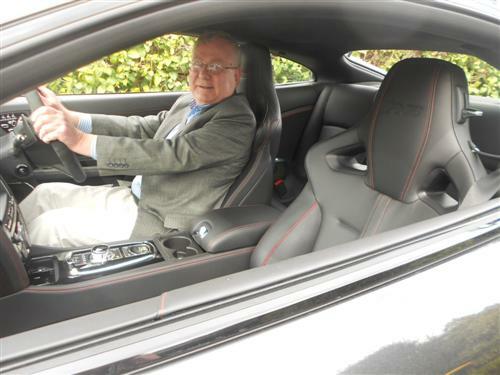 The firm ride suggests serious high speed may be a specialty for this car. I accepted the challenge and got the Jag right up to the limit and held it there for over 30 minutes, with extreme pleasure. Driving at the limit very much suits this car. The limit that I encountered was the speed limit - 100 km/h. Oh, to have an autobahn in the neighbourhood! You may expect excellent steering and braking along with typical super car handling with this machine. Expectations met, the driving dynamics are stunning to say the least. 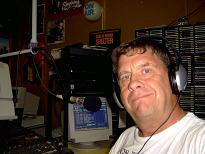 Although using the accelerator is a thrill, it is the same with brakes which sort of say to you "how does that grab ya?" Make no mistake, the ride is firm and the power is raw. 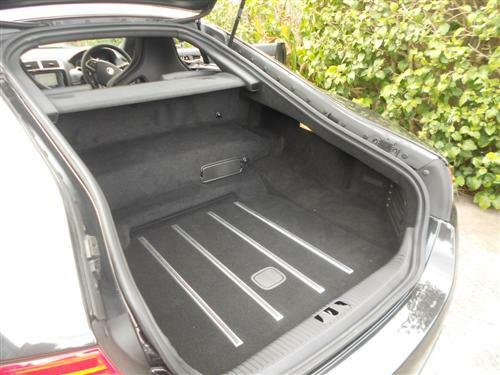 This is a serious high performance car that is pleasantly manageable in experienced hands. The factory indicate that the XKR-S can complete 0 to 100 km/h in just 4.4 seconds. Let me be frank, I didn't check it but I believe it! Typical Jaguar luxury abounds in the business-like interior that features both luxury and sporty features with admirable quality and appropriate presentation. Appreciated luxuries like the electrically adjustable bolsters on the front seats, the electrically adjustable steering wheel reach and tilt and the electric parking brake are always welcome by myself. A reversing camera is included and valued for the safety it provides during reversing manoeuvres. However, features like front seat belt 'extenders' and blind spot recognition are not included. The door pockets are disappointingly tiny. The seating is superb with bolsters that are cosseting and comfortable for someone like me with an average sized frame. The contrasting stitching on the seats, dashboard and door trims is a nice touch. The V8 is supercharged, it has a 5-litre capacity driving the rear wheels through a six-speed automatic transmission. Maximum power is 404kW at 6,000-6,500rpm and maximum torque is a whopping 680Nm at 2,500-5,500rpm - no wonder there is staggering performance available just under that ambitious right foot. High performance disc brakes are standard. Four 20" alloy wheels, dynamic stability control and 'active' differential are standard. The factory indicate the fuel consumption rating is 12.3 litres per 100 kilometres on the combined cycle. Perhaps the urban cycle rating of 18.9 litres per 100 kilometres is a more relevant figure for everyday city usage. The car's trip computer indicated the Next Car team managed to average 20.3 litres per 100 kms during our time with the car. Our average speed during our time of 19 km/h suggests we spent too much time in congested traffic and at idle - although we did manage one trip out of town. The fuel tank capacity is 70.6 litres (approximately). Standard: AUX and USB audio input with iPod and Bluetooth telephone connectivity, MP3/WMA compatibility, navigation and Bower & Wilkins sound system. There's XK, XKR and XKR-S in the line-up. Each is available as a coupe or a convertible. 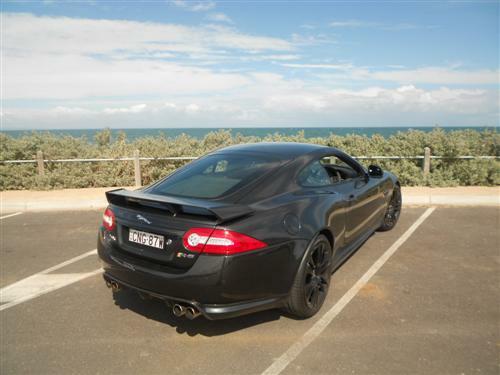 Jaguar XKR-S comes with a three-year/unlimited kilometre warranty (of course some conditions apply). Servicing for the first three years or 100,000 kilometres is included (conditions apply). Roadside assistance is included for the term of the new vehicle warranty. Be assured, with its staggering performance this car will make you think of a racing car. The difference, though, is that this car has number plates. 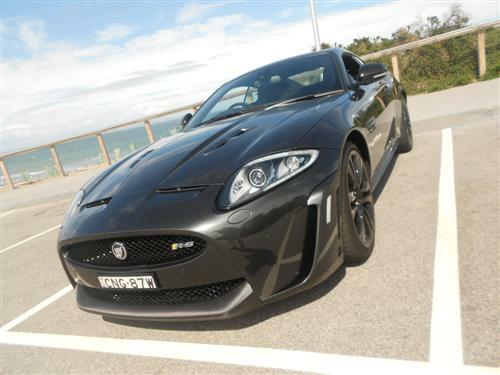 The XKR-S will satisfy an enterprising individual who has time to get this thoroughly exhilarating Grand Tourer out onto the highway. This car is a superb excuse to hit the road more often than usual - it suits the highways and freeways best - and it also commands attention in the urban environment as I frequently discovered.